Two Oxford University researchers have been awarded Philip Leverhulme Prizes for their outstanding contributions to their respective fields. The awards, worth £70,000 over two or three years, recognise early-career academics with exceptionally promising futures whose work has already had a significant international impact. 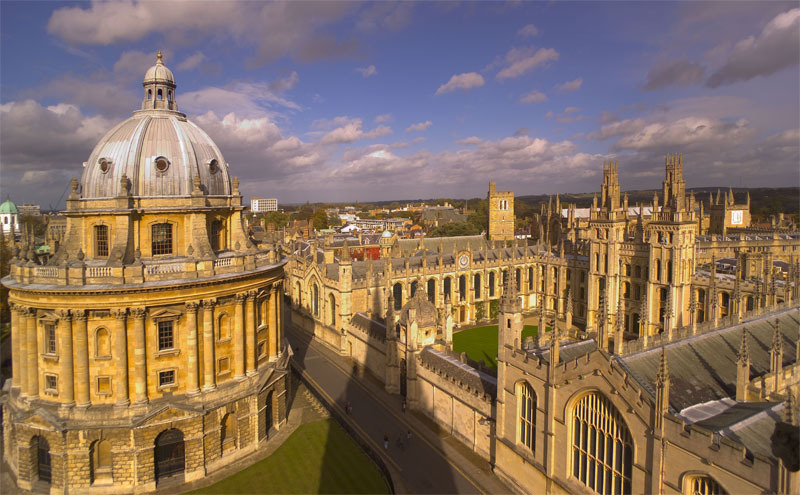 This year’s Oxford-based recipients are Dr Anna Lora-Wainwright of the School of Geography and the Environment and the School of Interdisciplinary Area Studies, and Dr Hannah Sullivan of the Faculty of English Language and Literature. They are among 29 scholars from a range of disciplines and institutions across the UK to receive 2013 Philip Leverhulme Prizes, which are awarded by the Leverhulme Trust. Anna said: ‘Being awarded the prize is an extremely exciting recognition of distinction and an opportunity to make faster progress with my research. She added: ‘My research has initiated a lasting change in the study of contemporary China, illness, environment and morality. ‘My first book Fighting for Breath (2013) is a ground-breaking study of Chinese villagers’ experiences of cancer and their practices of care. My current and future work extends this focus by examining rural dwellers’ responses to development, industrialisation and urbanisation. It draws on unique fieldwork in severely polluted villages and on interdisciplinary collaborations. Hannah’s research interests are in 19th and 20th century English literature, especially modernism, and literary style and form. Her first book, The Work of Revision, asks how and why writers have revised their work over the last hundred or so years, and what aesthetic effects different patterns of rewriting or excising produce. She said: ‘I feel extremely lucky to be awarded this prize to work on an ambitious and experimental project that otherwise, I fear, would never have taken off. ‘My new book is about free verse and English poetry’s break-up with the iambic pentameter. I’m interested in the evolution and ideological meaning of freedom in form. Most English poems until the 20th century are in shared, repeated prosodic or rhyming forms, whereas most English poems today are in a form unique to that poem. I’ll be asking why. Each year, the Leverhulme Trust awards up to 30 Philip Leverhulme Prizes. Nominations are accepted for work across 18 broad disciplines, with prizes in six of those disciplines offered each year.